Happy New Year!! 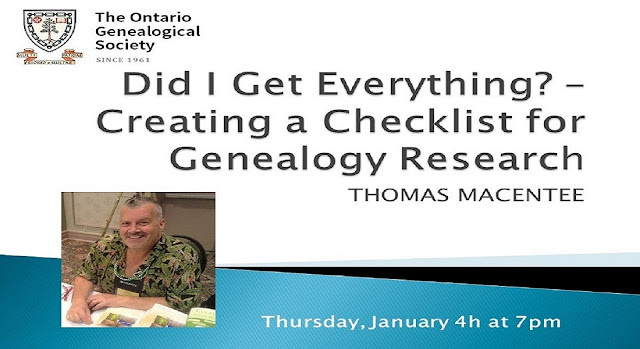 On Thursday January 4th at 7pm EST please join The Ontario Genealogical Society and Thomas MacEntee for the webinar presentation of Did I Get Everything? - Creating A Checklist for Genealogy Research. Our live webinars are free and everyone is welcome! Recordings are also available for members.